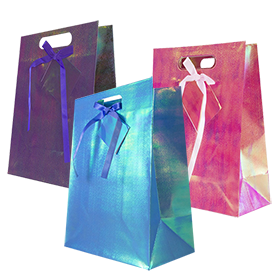 Give your gift a super lift with our amazing gift bags. 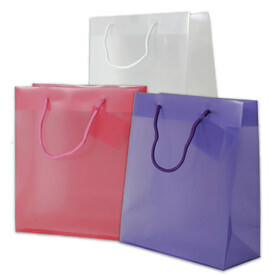 We have a huge variety of sizes, colors, and textures to choose from so every occasion, event, and party will be matched. 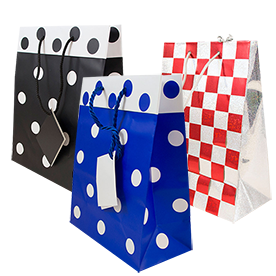 With over a whole page of styles to pick from, your gift giving will be as fun as it gets! 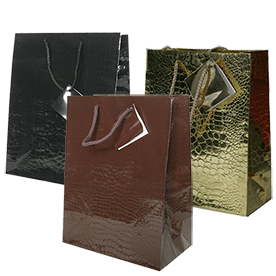 From finishes like glossy or matte sheer or foil, you'll be sure to get some beauty into your gift giving. 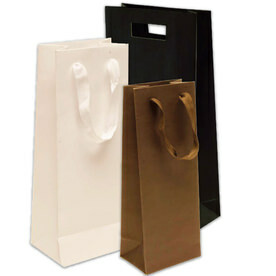 From bags with handles, die cut handles or no handles, carrying your bag has never been easier. 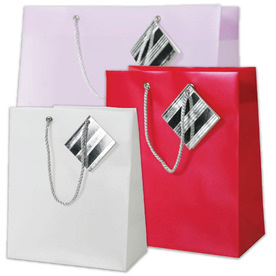 Need a great bag for your party favors? 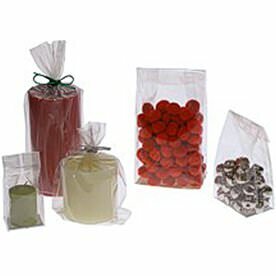 Choose our Natural Burlap Pouches, our Cello Bags, or our Sheer Bags. 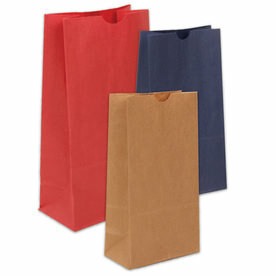 Need something to store your lunch? 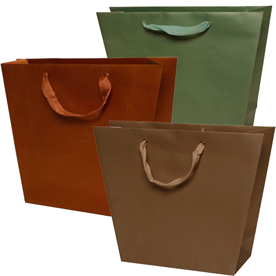 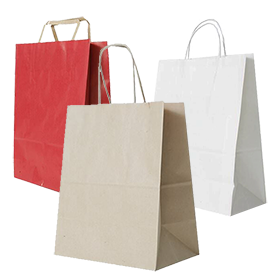 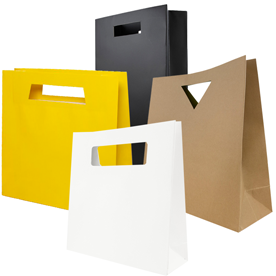 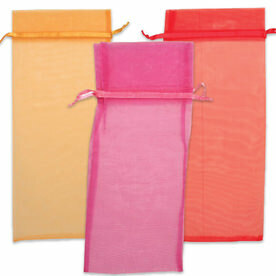 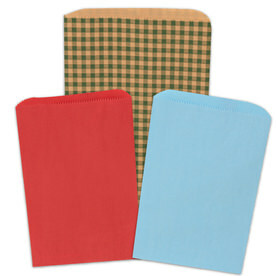 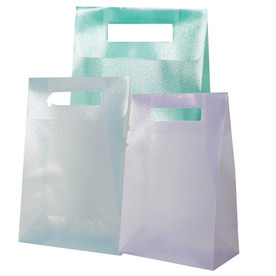 Choose from our Kraft Lunch Bags, Merchandise Bags, or Frosted Lunch Bags. 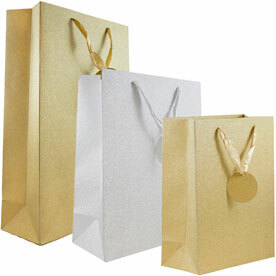 And then if you really want to decorate your gift right, we have a ton of other choices to pick from! 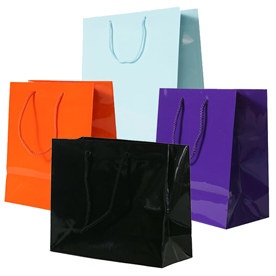 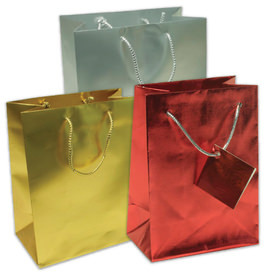 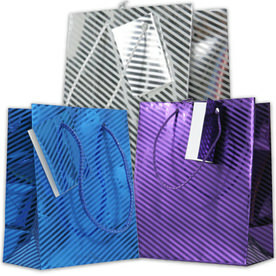 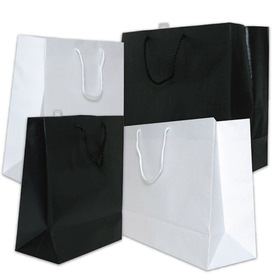 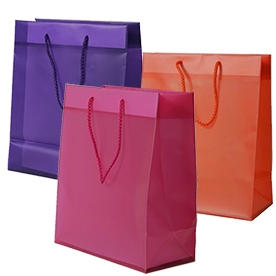 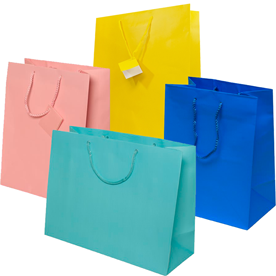 Translucent bags to pinstripe foil bags, matte bags to glossy bags, we seriously have it all. 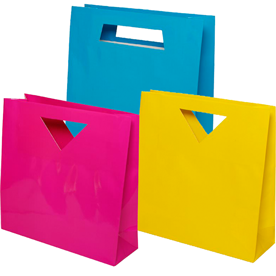 And our colors don't just range through the rainbow; it ranges throughout the color spectrum! 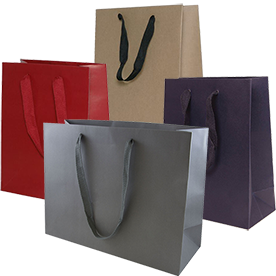 And from tiny to jumbo, you'll be able to fit any size item inside. 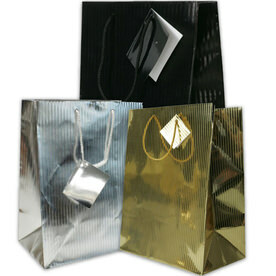 So give your gift with some needed style and start browsing through our large collection today!